Is it possible to forget about the existence of an entire genre? 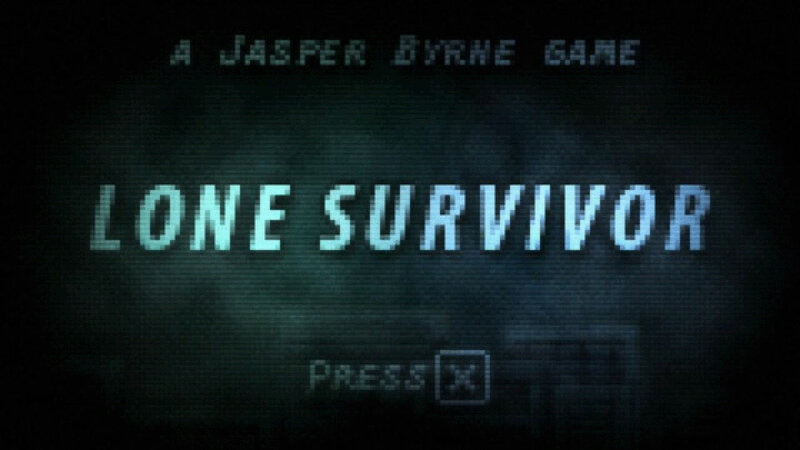 When I played Lone Survivor, the latest from Superflat Games, I wasn’t even sure how to classify it. At first I thought to call it a point and click adventure, or a horror game with elements of metroidvania. Recently, the horror genre skews so much towards action games like Dead Space and F.E.A.R. that it’s easy to forget about the era of survival horror’s prominence. And that’s exactly what Lone Survivor is—a literal take on survival horror in which you must weigh every decision against your limited supply of food and ammo. Jasper Byrne, the creative mind behind Lone Survivor, understands how to build tension and manipulate the player. Though Lone Survivor looks like a 2D sidescroller from the Super Nintendo era, there’s something unmistakably eerie about the game’s environments. One room may appear oddly mundane, while the next may be nightmarish. The game’s enemies are particularly disturbing. They are terrifying not just in their their featureless visages or shambling motion, but in the fact that any one of them could kill you. Sure, a few bullets could just as easily dispatch these foes as well, but when ammo is at a premium every encounter must be approached with caution. As I said earlier, the game does play a bit like an adventure or metroidvania game. While the main quest is fairly straightforward, some items can be used in creative ways to complete the game’s side quests. Similar to Eternal Darkness, Lone Survivor has multiple gauges for the player’s health. Eating food will restore your strength and resting will restore your stamina, but your mental health must also be replenished and the only way to do that is by avoiding combat and taking in the peaceful scenery. Your character will tell you when he’s tired or hungry, but otherwise there is no visual representation of your health levels. You have to rely on your judgment when you can’t see exactly how tired or hurt you are, which makes the decision to eat or rest that much more important. Lone Survivor inherits some of the flaws of its survival horror predecessors, especially regarding combat. Your character can only aim in three directions and it’s frustrating to turn around once your gun is drawn. While it isn’t necessary to shoot your way out of every encounter, sometimes the items meant to distract enemies aren’t as effective as they should be. The control scheme is a bit over-complicated, and while it would allow the player to cheat by pausing time, it would’ve been nice if there had been a settings menu. Those flaws aside, Lone Survivor’s nonlinear narrative and multiple endings leave the story open to interpretation. The game puts you in a heightened emotional state and challenges you to think under duress. The visuals do just enough to establish an eerie atmosphere, and the brilliantly composed music sets a wide variety of moods. Fans of the survival horror genre should check out Lone Survivor. Yikes! I saw the title and was worried they made a video game based off the book “Lone Survivor” detailing the tragic events of Navy SEAL Operation Redwing in June 2005. http://www.amazon.com/Lone-Survivor-Eyewitness-Account-Operation/dp/0316067598 . <– A very good book by the way with a movie set to release next year. Would have been horrible to make a game based on the events though. Anyways this looks very interesting. Would "Silent Hill in 2D" be anyway to describe this game? The environments and area map seemed to give off that vibe in a classic Team Silent sort of way. If so I may have to check it out. My biggest problem with this game is that I can’t help seeing the main guy grinning all the time. This looks like a side scrolling kind of Amnesia, I like the spooky music. If there’s a demo of it I’ll try it but if not I don’t think it’s for me just by looking at it, the only side scrolling game I really like and don’t get bored of is Trine.